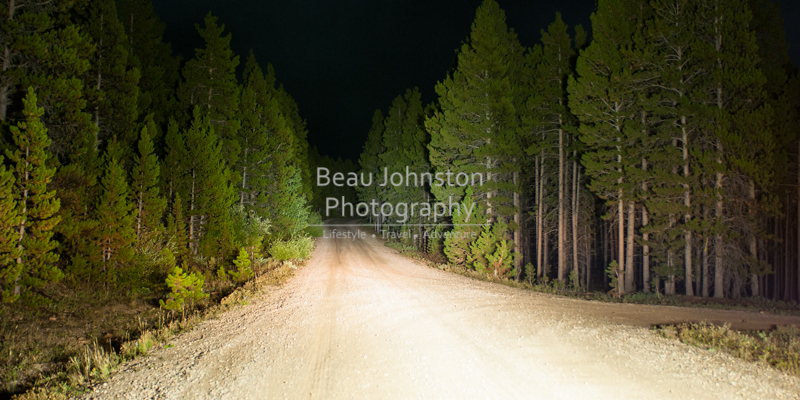 I have long lusted after LED light bars and often wished I could replace our old halogen off road lights with one. I could never justify the nearly $700 price tag for a name brand 20" light bar, let alone $1300 for a 40" bar. I was happy running my two IPF 968s with 100 watt bulbs. As with everything, the popularity of an item brings competition and competition brings better pricing. 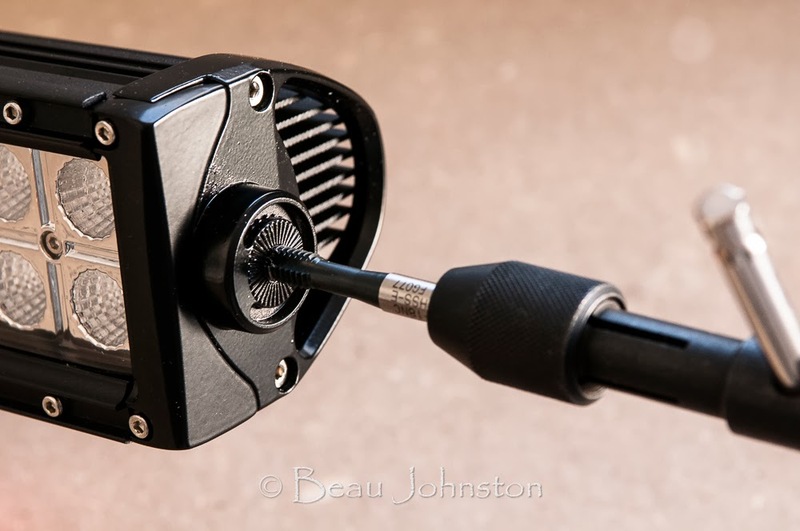 A few Chinese companies have entered into the market by producing less expensive (some times cheaper quality) products which are sold from various off road specialty shops, like the one we got from Jasper Offroad. - Jasper has since gone out of business. Okay, so lets cut to the chase. I know everyone wants to see the light output, so here you go. I think the LEDs speak for themselves. 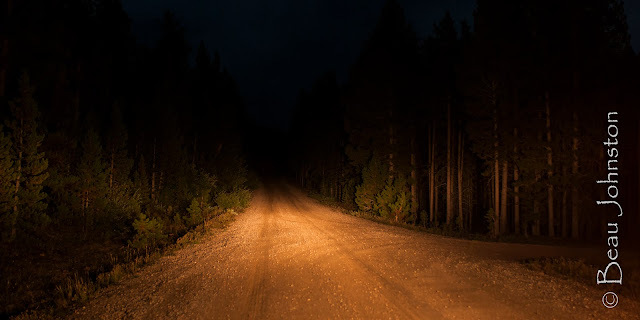 When compared against the '99-'02 headlights on our 4Runner, the difference is night and day. Our old IPFs barely made a difference over the stock high-beams but the 20" double-row light bar puts out so much light you can't even tell your high-beams are on. 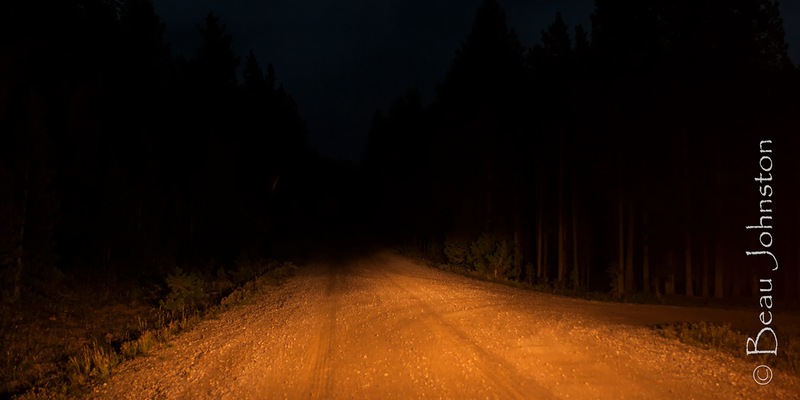 We noticed the difference more after driving with the light bar on for 20-30 minutes and then turning it off to rely on the headlights. It actually took my eyes a couple of seconds to adjust to the 'lack' of light. I noticed myself slowing the 4Runner down because I was having a hard time seeing. Light output isn't the full story though. 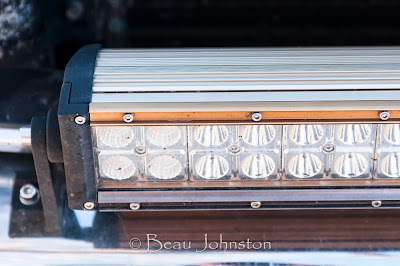 The light bar we tested from Jasper Offroad did have some issues that we had to overcome. Firstly was the build quality. In order to get our 20" bar installed, I had to 'chase' the 5/16-18UNC threads with a tap to remove excess material that was preventing the stainless socket head cap screws from being installed. While this only took a minute to accomplish, it might be a major inconvenience for someone who does not have the tools to do this. The anodizing issue has been resolved. At the time of the issue, the manufacturer had just moved into a new plant. The batch of lights that had the issue was the first production batch out of the new facility. They passed acid bath and in house UV stability testing but obviously did not stand up to the abuses of the real world. The Anodizing process was revised and the issue has been resolved. 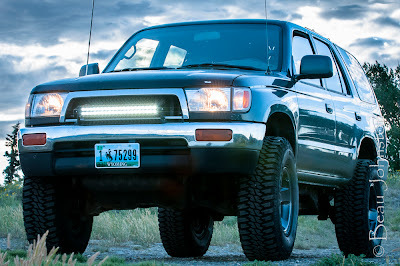 I eventually decided to mount the original light bar back on the 4Runner to see how long it would take to completely fade. 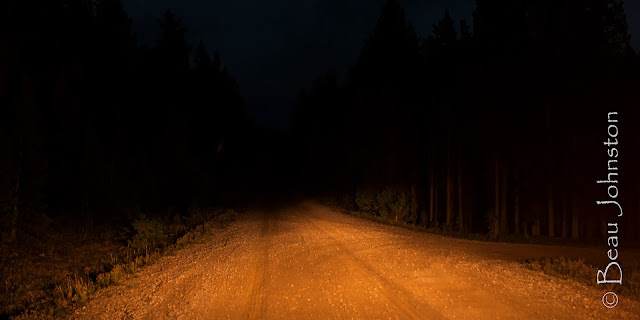 After six months, the light bar faded to a light bronze as shown below. 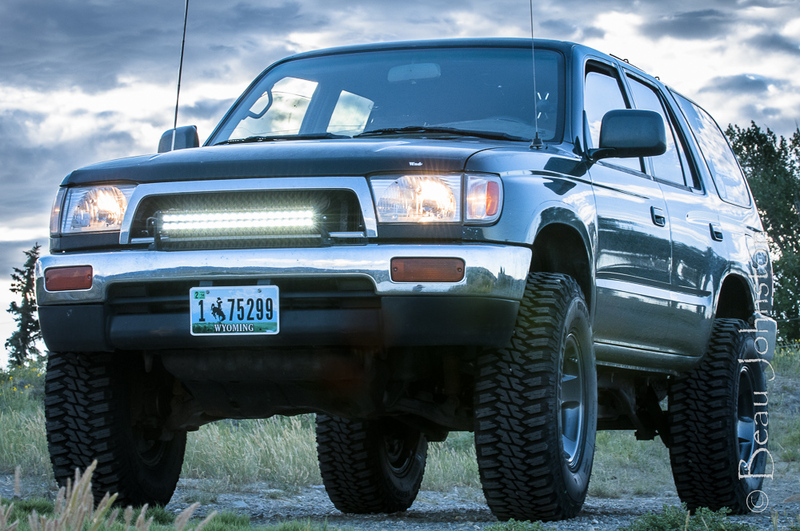 Ryan also tells me they will have these light bars back in stock within a month or two of posting this review (11/12/13). 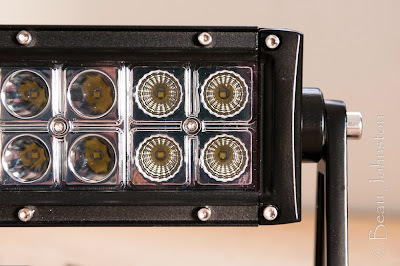 Disclosure of Material Connection: Jasper Offroad loaned the LED light bar to us for the review. They went out of business before we could return the light bar.